When Embermage Goblin comes into play, you may search your library for a card named Embermage Goblin, reveal it, and put it into your hand. If you do, shuffle your library. 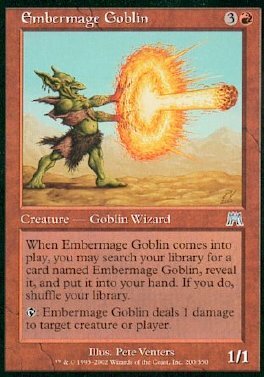 T Embermage Goblin deals 1 damage to target creature or player.